KXCI On The Air: Two Gallants - live in-Studio 2A & KXCI Presents! Tune in Tuesday at 5:30pm on the The Home Stretch for a special performance from Two Gallants in KXCI's Studio 2A on the release day for their new album, The Bloom and the Blight, on ATO Records. 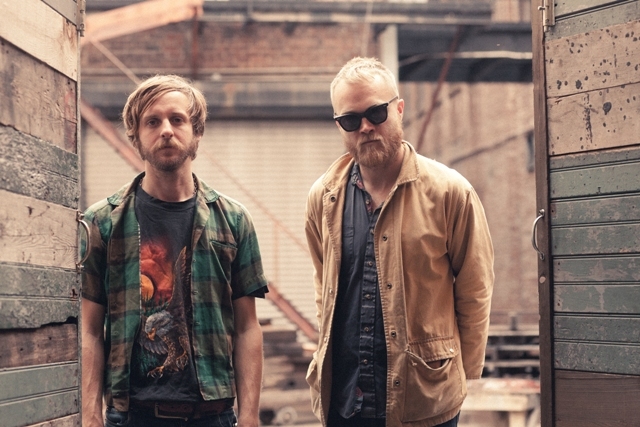 The duo of Two Gallants combine folk-rock songwriting with an indie-rock edge. Alternately explosive and restrained, the aptly titled The Bloom and the Blight is a meditation on past and present – melodic fury matched with the eloquent, confessional lyricism that has made Two Gallants an enduring favorite of both fans and critics. Club Congress and Stateside welcome Two Gallants Tuesday night, September 4th, in a KXCI Presents! show. This early, 18 and over show opens at 7pm with Papa (featuring Darrin Weiss of Girls) at Club Congress.